Oregon has grown from obscurity to one of the world's most renowned wine regions. The focus on premium Pinot Noir has wineries commanding some of the highest prices in America. The signature Pinot Noir can be found in high end wine shops and restaurants around the globe. The pioneers of Oregon wine set an amazing stage. Their unwillingness to listen to naysayers established the foundation for a thriving wine community where just forty years ago non was thought possible. Yet today, in a region that prides it self on being an inclusive community, not all are asked to the table. 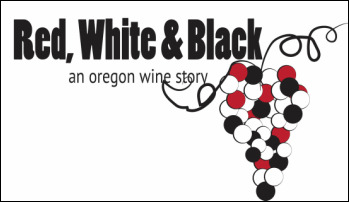 The purpose of Red White & Black is to tell the story of minority winemakers in Oregon. To highlight those people who are deeply entrenched, have their livelihood on the line but somehow are missed by the press and not often included openly in the larger Oregon wine community. This is to tell the story of what life is like, what hurdles, acceptances, challenges and opportunities exist. To share what it is like to be a person of color or LGBT in a generally white, high brow industry. Come see the documentary about Oregon minority winemakers and taste their wines. Purchase tickets for this showing HERE! The production of Red, White & Black has been completed and the documentary is now being shared through festivals and screenings. We are very proud to share that our Red White & Black documentary is an official selection of the 2018 MegaFest International Film Festival. We are very happy to share that the Red White & Black is an official selection of the 2018 Capital City Black Film Festival. 25th Anniversary screening of their movie Cool Runnings. Austin, TX, Aug 29-Sept 2nd. See you there!!! Jesus Guillen of Guillen Family Wine and White Rose Estate.